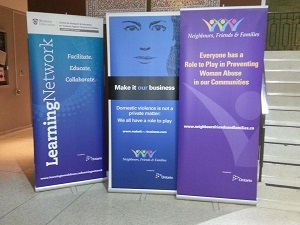 The Social Media and Sexual Violence Conference was held at the Faculty of Education at Western University, 1137 Western Road, London, Ontario on November 7 & 8, 2013. 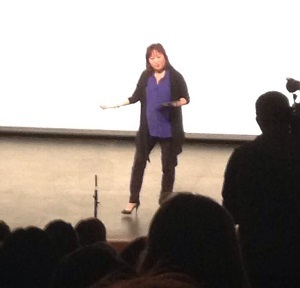 Featured speakers included Carol Todd, mother of Amanda Todd, and Jackson Katz. Check out #SMSVConference on Facebook and Twitter for audience comments, photos and live tweets from the event! 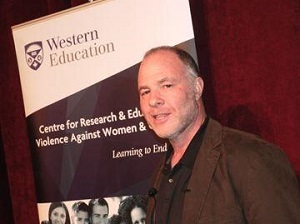 Jackson Katz, Ph.D., is an educator, author and internationally acclaimed lecturer who is a pioneer in the fields of gender violence prevention education and critical media literacy. He is cofounder of Mentors in Violence Prevention (MVP), one of the original “bystander” programs and the most widely utilized sexual and domestic violence prevention initiative in college and professional athletics in North America. He is the creator of the film Tough Guise and author of The Macho Paradox and Leading Men: Presidential Campaigns and the Politics of Manhood. He lectures widely in the United States and around the world on violence, media, and masculinities. Social Media is ubiquitous in schools and in homes. Loosely defined, social media are websites that allow users to participate, respond, engage, and contribute on the site and with other visitors. This includes sites dedicated to news, bookmarking, photo sharing, networking, and wikis. Some of us are new to this digital world while a younger generation navigates this digital domain intuitively. Why is it important for teachers and parents to learn this new language? Although, the millennial generation uses media regularly, they don’t always have the ability or skills to Manage, Examine, Decode, Identify, and Act appropriately online. This presentation will help all users develop these critical media literacy skills thereby giving both teachers and students; and, adults and children the tools to interact and connect safely....“With great [technological] power, comes great responsibility.” Click here to watch the presentation. 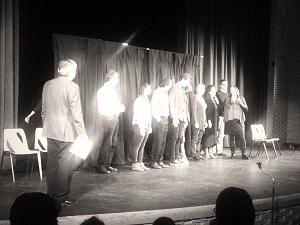 Forum Theatre is an interactive drama presentation that uses oppressive situations to help audience members develop and practice possible solutions. The play will be viewed twice. The first time the audience will thoughtfully view the play and consider the inappropriate behaviour related to social media and the consequences of sexual violence. The second time the audience will stop the play and try to effectively change a moment to positively affect the outcome of the story as well as hopefully lead to positive change in our communities. Tuned Out explores the role of media and how it contributes to the de-sensitization of violence in our lives. It is the story of teenagers in a dating relationship who communicate through texting and sexting which seems to be all in good fun. Things change after they go to a party where Emma, who is “wasted”, becomes involved in a sexual experience with Noah and is left to suffer the consequences. Click here to watch Tuned Out.